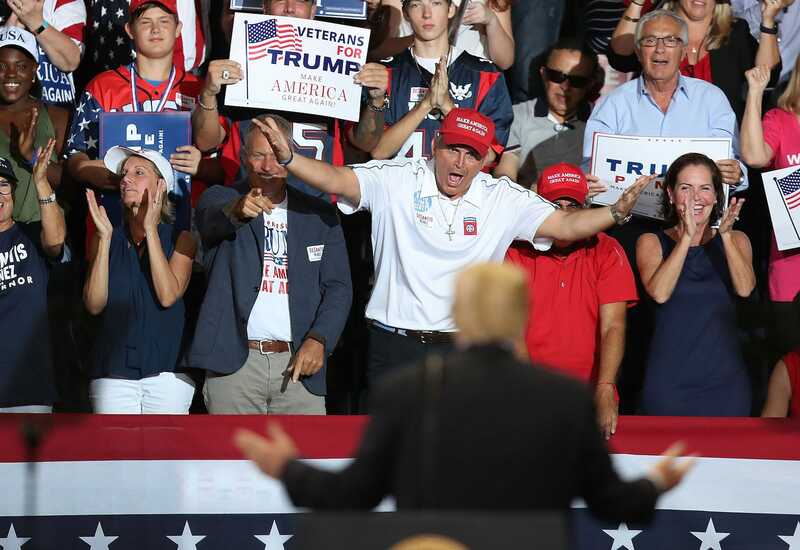 Joe Raedle/Getty ImagesPresident Donald Trump at a campaign rally for Republican midterm candidates in Florida on Wednesday. 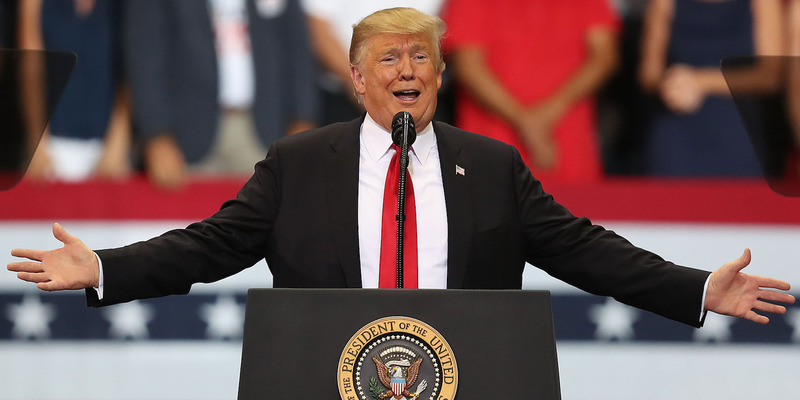 During a Wednesday interview, President Donald Trump was reluctant to say that Republicans would hold the House of Representatives in November’s midterm elections. Trump predicted Republicans would “win” the Senate but only do “well” in the House race. Polls give Democrats a strong chance of taking control of the House but predict the GOP will hold the Senate. Earlier Trump appeared to be positioning himself to pin the blame on Speaker Paul Ryan if the Republican House majority were to disappear. Even President Donald Trump isn’t prepared to say the Republican Party will hold the House of Representatives in Tuesday’s midterm election. In an interview with the Christian Broadcasting Network on Air Force One on Wednesday, Trump expressed confidence that his party would keep control of the Senate but stopped short of saying the same for the House. “I think we’ll win the Senate, and I think we’re gonna do well on the House,” Trump said. Polls have indicated that Democrats have a strong chance of taking control of the House but that Republicans are likely to keep the Senate. House Minority Leader Nancy Pelosi on Wednesday seemed certain that Democrats would retake the House. Trump was travelling to Florida on Wednesday to attend a rally in support of Republican candidates in both races. Joe Raedle/Getty ImagesTrump at the campaign rally for GOP midterm candidates in Florida. Earlier in the day, Trump positioned himself to pin blame on Speaker Paul Ryan if Republicans were to lose control of the House. “Paul Ryan should be focusing on holding the Majority rather than giving his opinions on Birthright Citizenship, something he knows nothing about!” Trump wrote. He later told reporters that he was “not going to blame anybody” if Republicans lost the House, The Hill reported.